For years, clinical trial sponsors and operations managers were hesitant to explore new ways of reaching out to potential study participants. New platforms of patient engagement, such as direct-to-patient communications or dedicated clinical study websites, were viewed as impractical or unnecessary. Today the industry increasingly finds itself in fierce competition to quickly find more and more of the “right” patients. This has led to an increased desire to develop bold innovations, efficiencies, and pilot programs that can benefit not just patients, but all parties in the clinical trial experience. 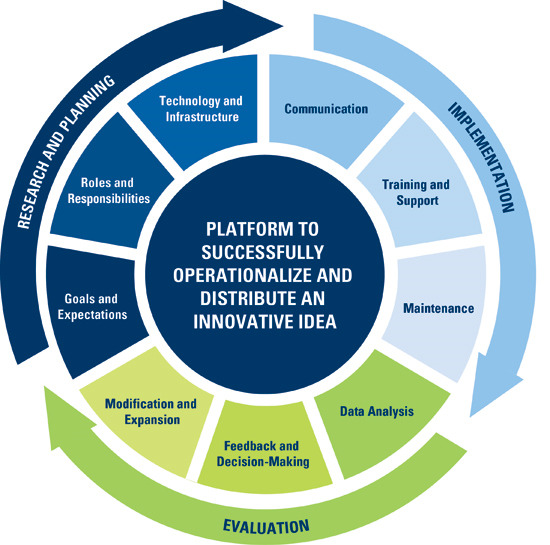 Yet frequently forgotten in the afterglow of racing to bring these new ideas to light is the most critical and challenging piece of the puzzle: creating a platform to successfully operationalize and distribute these innovations. I’d like to share some thoughts about what we’ve learned over the years in taking new innovations over the finish line and into full implementation. Introducing a new patient recruitment initiative is a complex and delicate process. Sharing your vision of the program with the clinical research study community is bound to generate a number of questions and comments from just about everyone involved – from senior management to site personnel. While not every question will have an immediate and satisfying answer, understanding the types of questions being asked can help you identify and address potential program deficiencies in advance. From the outset, effective communication with study personnel about your new program will be critical to its adoption and future success. Clearly communicate why this new program is necessary for recruitment success. Identify the recruitment challenges that it is specifically meant to address. Share why you believe the program will ultimately make the process easier / more efficient. Assign personnel / departments who will help oversee key program infrastructures (e.g., technology, communications, logistics). Be clear as to what you expect from each user in terms of program implementation and proficiency. Create a contingency plan that will address user non-compliance. Create comprehensive training materials and program support services that are readily accessible on-site. Schedule refresher sessions to review the program to-date and update users on any recent changes / upgrades. Appoint dedicated program specialists who will be responsible for training new personnel. Ask questions that identify and address not only current program functionalities, but also additional functionalities that could be implemented. Never stop improving: Schedule regular meetings with managing departments to discuss timelines for implementing program upgrades. Have ideas about putting your patient recruitment innovations to work? Leave a comment below.